Autotune has become ubiquitous across many modern genres of music – it’s certainly not confined to just pop music anymore. 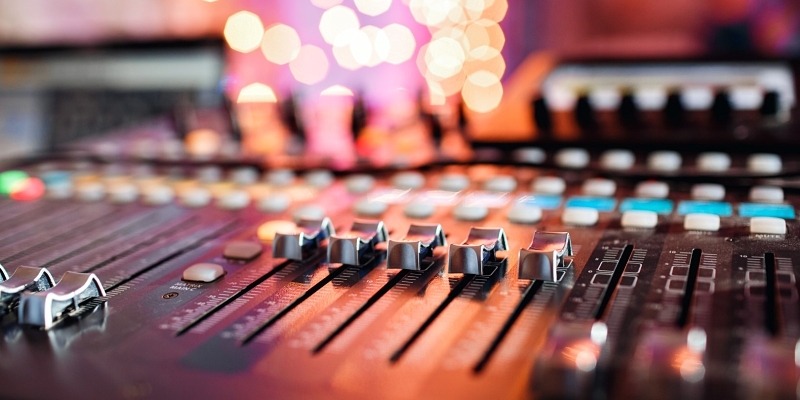 Popularised by Daft Punk, The Black Eyed Peas, Chris Brown, Rihanna and even Cher, autotune has become a vital component of modern record production. Autotune is both a corrective and creative tool. While many vocalists would prefer for their voice to be autotuned naturally, we’re all familiar with the over-the-top autotune tone of many pop vocalists. Whatever your opinion is of autotune, it’s come along way over the last 10 or so years and is here to stay. Also, the fact is, autotune has so many practical uses that apply not just to vocals but other acoustic sources, too. If you want to experiment with autotune and implement it as in your music software arsenal, then there are several excellent free autotune plugins available for you to download today. Many are feature-rich and will offer great scope and functionality for trying out autotuning on vocals and other instruments. We think you’ll be surprised. Before moving onto the list, let’s briefly cover how an autotune works and what sort of results you can expect. Autotune is a valuable component of any producer or mix engineer’s VSTs and plugins. The days are gone where artists were scrutinised for their use of autotune and artists such as T-Pain have shaken the view that autotuned artists aren’t skilled vocalists. Obviously, particular styles of creative autotune aren’t everyone’s cup of tea but autotune has uses outside of vocal pitch correction – they can also be used on synth patches, acoustic instruments, drums and almost any other sound with varying degrees of effectiveness. Many engineers might use autotune to alter the pitch of a few bum-notes that stick out in a guitar solo, for example. It’s worth experimenting with autotune on both vocals and acoustic instruments as it can allow you to tighten the tonality of your performances. Most autotunes are designed for the voice’s frequency range but they’ll work on other acoustic sources like guitars with varying results. Most autotunes are simply designed for minor pitch correction. They usually feature transparent audio engines which attempt to effect the voice in the least way possible for more natural results. Contrastingly, some autotunes produce very overt and obvious changes that can help you create digitised vocals or pitch-shifting FX on other acoustic or electronic sources. For example, you could take a monotonal vocal and pitch it around for all manner of dramatic autotuned effects. This autotune style is more commonly used in trap, hip-hop, rap and other electronic genres. It’s rare that you’d use an autotune harshly on a whole track and instead, you’d most likely use it to address small problematic areas of a recorded waveform. Depending on your vocal, though, you could set-and-forget an autotune to tighten up elements of a whole vocal part. Experimentation is the key here. Sometimes, you’ll be able to draw in the notes you want to correct to on a piano roll and pitch a sound around with formant control, other assorted fx and MIDI input control. The problem is, autotune plugins have never really had a reputation for being cheap. Plugins like Melodyne can set you back hundreds of dollars. Whilst their high price is testament to how powerful they are, you can achieve professional results with free VST autotune plugins. Here, we have 7 of the best free VST plugins available to download today. MeldaProduction has an illustrious history with the support of artists like Deadmau5. They’ve built a completely free and well-featured autotune plug-in and it really is a powerful bit of free kit. MAuto Pitch has all of an autotune’s traditional controls. Depth essentially controls the depth of the effect – so the level of how much effect the plug-in has on the entire sound. Detune can be used to nudge the pitch up and down for fine tuning. The speed knob is particularly important and this controls the speed of the autotune effect. Often, singer can hit the note but can’t sustain it. In this situation, it’s best to choose a slower speed so the autotune effect pulls in when the singer’s note begins to wander off. For a more overt T-Pain-esque style tone, a quick speed setting is necessary so the autotune is immediately noticeable. This awesome plugin also contains a lot of extra features like the width setting which can widen and stereoize your vocal. Finally, the formant setting can alter the pitch of your vocal in a way which makes it sound more masculine and deep or higher and feminine. This autotune is equipped with a visual detector which provides a graphical interpretation of incoming notes. It’s all pretty sophisticated but it’s certainly not difficult to use! You only have to glance at this autotune to tell that it features a bit of an old-school interface by today’s standards. Still, at the time it was a real groundbreaker and holds its own against all of the most expensive big boys and newer kids on the block. This plugin’s MIDI functionality is superb. This means you can use a MIDI keyboard to play in the notes which you need to hit with the vocal part. You can then use this MIDI information to tune the vocal part. GSnap’s interface is easy to use and the left-hand graphic will display your note’s pitch in red and the corrected version in green. This enables you to fine tune the corrected notes based on the information displayed. Effects additional to your usual autotune effects include vibrato which is speed adjustable. This will add a fluttering effect to your vocal part. Other functions include a gate setting which can be used to control if the plugin effects just quiet or loud parts of a vocal part. For example, you could only autotune a loud chorus and choose to leave a quieter, more intimate verse unaffected. Overall, GSnap is a finely crafted autotune tool which is capable of transparent results. Extra features like vibrato can really liven up a flat vocal sound. This recently released autotune looks a little different to most on this list. It has a greater number of quirky settings and fx and a rather futuristic-come-retro design. Below its rather funky surface, this is a powerful autotune device. The correction module is the main component and by inserting this in an audio track and switching this on, you can get pretty good results for slightly out-of-tune tracks almost immediately. Inertia works as a speed control, controlling how quickly the autotune acts on a signal. The smooth control can help slow or quicken the transition between one note to another. Some of the Graillon 2’s funky settings include the bitcrusher which can distort a voice with digital distortion that varies from subtle to outrageous. It’s pretty cool that Auburn decided to throw this into a free autotune plugin. You can create some fascinating results with this free autotune that range from wispy digitised tones to full-on bitcrushed robotic voices. You can pitch shift to different pitches and octaves and alter the formant controls to change the tone of a vocal or instrument track. Overall, this plugin really rocks! It has a sleek and modern interface and extra settings that might surprise you for a free plugin. Japan audio company g200kg developed this autotune back in 2010. Today, it holds its own as a highly effective and fully functional free autotune VST. This plugin has no flashy fx and its interface is more functional than attractive. Beneath its industrial-looking skin lies an ultra-intelligent autotune that can is capable of ultra-precise tunng. The interface displays graphical info about a sound, including what it started as and what its autotuned version looks like. You can select the relative note which you want the plugin to tune to and with the calib setting you can adjust the overall pitch of your recording. With many fine tuning controls including formant control, the KeroVee offers an array of more in-depth options than most other free autotunes. It has a unique nuance setting which can allow you to leave natural variations in a singers’ voice like vibrato. This plugin doesn’t have flashy FX banks or many advanced controls but what it lacks in functionality it makes up for in precision. It’s clear that most of the programming work has gone into making a transparent-sounding autotune that can naturally tighten a vocal. This plugin sports a rather inauspicious early-2000s looking interface but it’s very capable of fixing slightly out of tune vocals without much hassle. It works via resampling and therefore, it’s not possible to transpose audio and harshly affect its pitch. This also means that you can’t alter a sound’s formants. Still, this plugin is designed for easily fixing a vocal part and that’s ultimately what it excels at. Unique to this plugin is its bias and offset features which both give you the ability to retain some natural characteristics in your recorded voice. Bias keeps a note natural if the singer deliberately alters the pitch of its sustain and offset adjusts how far a vocalist can stray from inputted notes before the plugin kicks in. With its MIDI input, you can assign the notes you want to correct your vocal to with your keyboard. This plugin is one of the most dated in the list but with MIDI and audio sidechain inputs and a host of extra features, it definitely brings some of the best functionality to the autotunes in this list. Autotalent’s interface will put many off from the get-go but it was originally manufactured by the wonderfully talented engineer Tom Baran before being reprogrammed for VST/AU by Oli Larkin – this honestly is one of the best autotune VSTs in the world. Scraping below the surface of this industrious-looking plugin reveals its wealth of features. You can use it for anything ranging from light tuning and correction to full-blown robotic mashes and chiptune-style effects. When setting this plugin up, you want to exclude notes in the scale with a “-1” and leave notes that you want to correct to with a “0”. Once you’ve found your way round its basic effects, it’s easy to start experimenting with its advanced settings and FX. The LFO section of this plugin can generate some incredible sounding effects and combined with its vibrato control, you can really add life to a vocal performance or acoustic instrument. Further than that, you can use its LFO feature to generate bit-mashed or chiptune effects. With lots of extra controls including formant controls, this plugin offers a really high-level of corrective and creative effects. If you can get below its rather crude surface, it can serve you for almost any auto-tuning and pitch shifting purpose. This autotune has no GUI! That means it has no interface at all. Yep, you’re right in thinking that you just set this on a track and leave it – it’s invisible. Manufactured a while ago by Arguru, this autotune pushes sounds pretty hard to get that T-Pain or Chris Brown style autotune. Since you just set it and forget it, this plugin is very simple to use and sometimes it’s just right. It’s always worth trying out if you want a digitised hip-hop, trap or other EDM-driven vocal sound. It’s extremely lightweight, easy to use (obviously) and it provides results – what more can you ask for? So there we have 7 of today’s best free autotune plugins – if you were thinking you probably needed to fork out $$$ for an expensive autotune plugin then hopefully you’re relieved! Autotune is here to stay and we all know it! Of course, not every genre needs autotuned vocals but it’s generally agreed amongst even veteran engineers that most vocal parts benefit from just a bit of autotune tightening. Autotune can be used creatively as well as correctively. Autotune can help you fatten up a vocal sound, improving its impact, sustain and vibrato. Because of the power autotune can bring to a vocal, we’re used to hearing strongly autotuned vocals in many tracks across genres of EDM, hip-hop and pop music but though many engineers wouldn’t like to admit it, it’s used lightly in jazz, blues and even classical music. Autotune has become an important component of the mixing process and therefore, you may as well embrace the change and equip your DAW with some of these awesome free autotune plugins!